November 6, 2018, Decatur, TX – ENERGY worldnet, Inc. (EWN) announced Wednesday the launch of their Mobile Training Center to bring blended learning and state-of-the-art virtual reality (VR) training to pipeline operators in the oil and gas industry. 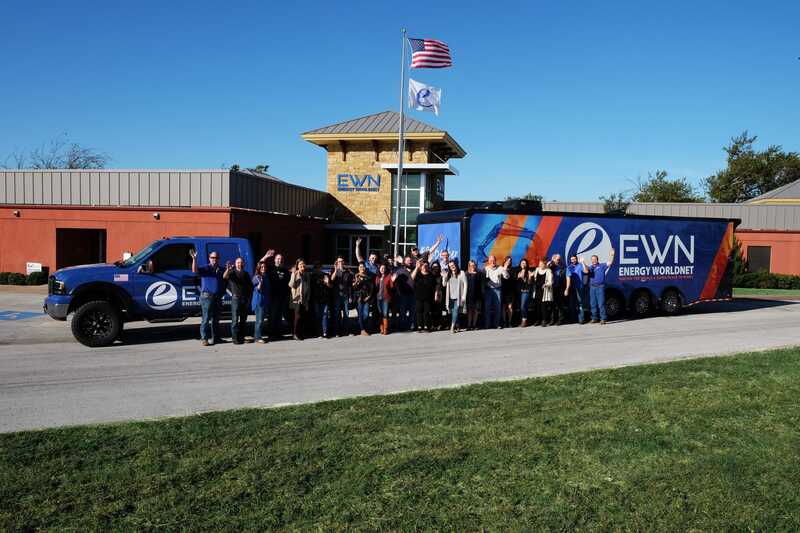 The EWN Mobile Training Center debuted this past week at the Texas Gas Association’s (TGA) Fall Board and Committee Meeting in League City, TX. In an innovative approach to training and education, the EWN Mobile Training Center allows trainees to experience learning in a hands-on virtual reality environment, a remarkable advancement in the safety training arena. As a pioneer in next-generation training technologies, EWN continues to push the envelope with innovative computer-based and instructor-led training options for its clients. For this initiative, EWN partnered with a mixed-reality development leader, From the Future, LLC, based in Denton, TX, to develop this effective and engaging safety training option. This initial series will include VR training that transcends the energy sector, targeting fire extinguisher training and abnormal operating conditions. These trainings have the ability to impact a large scope of the workforce while remaining customizable.